In this practice the objective is to cultivate a single-pointed attention on some object, such as a sound, an image, the breath, or a flame. Through the training of consistently returning to the object of focus, the mind develops the capacity to remain calm, stabilized, and grounded. Many Western meditation teachers start beginners with this practice, most commonly focusing on the breath. In some advanced practices, states of bliss may be reached. Reflective, known as analytical meditation and refers to disciplined thinking need to choose a question, theme, or topic and focus your analysis or reflection upon it. Initially, your thoughts may wander to other topics but then you need to train your mind to come back to the topic in question. 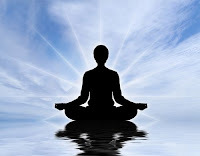 It is one of the most important types of meditation and is considered to have a calming effect on the mind. It stimulates transformative power and provides you with great conviction and strength to change the course of your life. Mindfulness is a combination of concentration and open awareness. Mindfulness is found in many contemplative traditions, but is most often identified with the Theravadan Buddhist practice of vipassana, or “insight meditation.” The practitioner focuses on an object, such as the breath, bodily sensations, thoughts, feelings, or sounds. The focus is not as narrow as in concentrative meditation, for there is a simultaneous awareness of other phenomena.